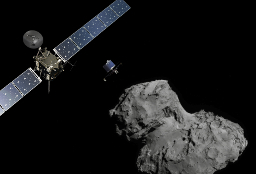 Nov. 2, 2015, 3:32 p.m.
Rosetta scientists have discovered oxygen in the atmosphere of comet 67P, saying it is the most surprising discovery of the mission to date. Astronauts have enjoyed a ‘home-grown’ snack in space. 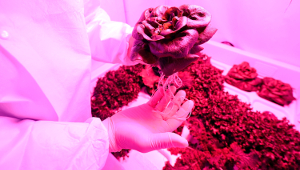 A crop of red romaine lettuce has been growing aeroponically on the International Space Station. 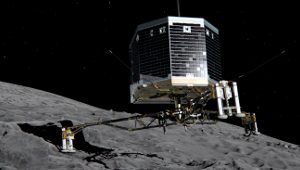 June 17, 2015, 10:48 a.m.
Philae, the first spacecraft to ever land on a comet, has made contact with Earth for the first time in seven months. 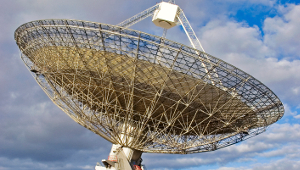 May 19, 2015, 9:21 a.m.
For 17 years, scientists have been trying to uncover the source of mysterious radio signals being picked up by the telescope at the Parkes Observatory in Australia. April 18, 2015, 3:16 p.m. 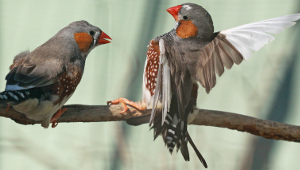 Researchers in Germany have discovered that birds make better parents when they are allowed to choose their own mates. 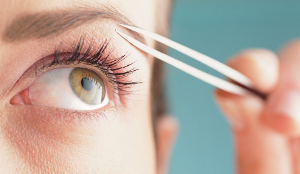 April 15, 2015, 9:02 a.m.
Scientists have discovered that when hairs are plucked in a particular way, the follicles in the skin send out a ‘distress’ signal that leads to even more hairs growing back! Europe to be Plunged into Darkness! 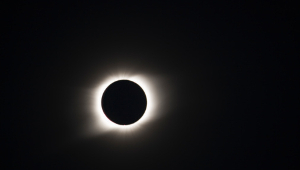 March 19, 2015, 2:49 p.m.
On Friday 20th March, the population of Svalbard is set to double, as more than 1500 shadow chasers descend on the remote islands to experience a total solar eclipse. 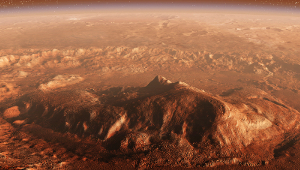 March 5, 2015, 1:34 p.m.
Mars One, an organisation that plans to create the first human colony on the Red Planet, has announced its final 100 candidates for the mission. Feb. 12, 2015, 11 a.m.
Jan. 26, 2015, 11:12 a.m. 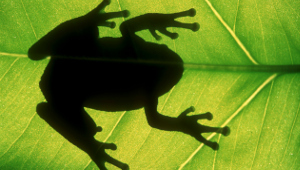 Most amphibians reproduce by laying eggs in water. However, a species of fanged frog has recently been observed doing things a little differently: it gives birth!